In most cases, it's best to file jointly, but there are a few exceptions. Doing my taxes has always been something that I dread as a freelancer. There’s far more paperwork involved than there was when I was a salaried employee, and I need to devote time to carefully itemizing (and backing up with receipts) any qualifying deductions to lessen my tax burden. But this year I’ve been thrown a curveball: In 2018, I got married. Should my husband and I file jointly or separately? I have no idea. So, I asked tax professionals how spouses should file, and what types of situations inform the best choice. Though there are reasons to file separately, which we explore below, filing jointly is often the best course for married couples. “There are penalties; associated with filing separate in the way various phaseouts and limitations are applied,” says Marianela Collado, CPA/PFS, CFP, co-owner of Tobias Financial Advisors in Florida. To be clear, you’re not directly penalized for filing separately, but you are forbidden from taking tax breaks that would otherwise be available to you. Here are some good reasons to file jointly. 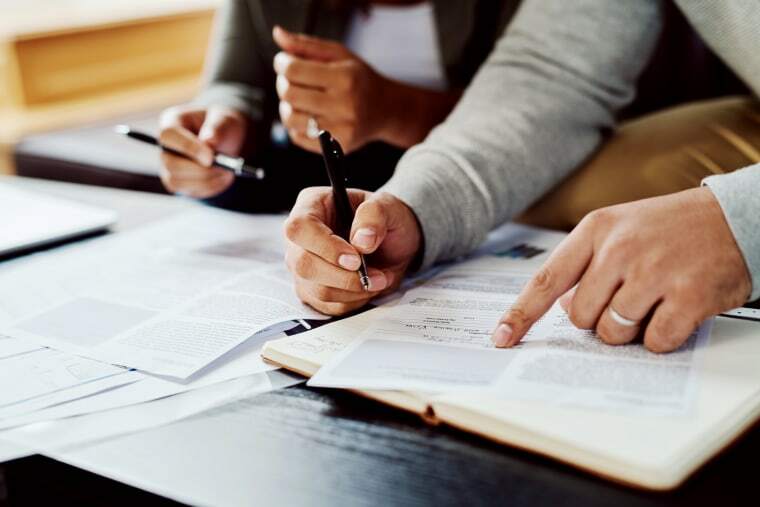 “In most cases, it is more advantageous to file jointly because doing so gives you access to more tax deductions and credits than you would filing separately,” says Riley Adams, a licensed CPA in Louisiana, and author of the personal finance blog, Young and the Invested. Let’s say you’re making good money, but your husband is an entrepreneur who hasn’t started making profits yet. By filing jointly (and again, marrying your income), you’re essentially able to recoup his losses with your tax holdings. The downside is that the teacher in this scenario — who may have been used to getting a fat refund — is now compromising that by using her gains to offset her husband’s losses. Ultimately, you can maximize your capital loss by filing jointly. “Capital loss allowable if filing separately is sliced in half ($1,500) instead of the total $3K and it would be a waste if one spouse has no losses,” says Collado. This last point of not wanting to commingle funds can be a valid reason to file separately, Collado says; but note that if you reside in one of the nine community property states (Arizona, California, Idaho, Louisiana, Nevada, New Mexico, Texas, Washington or Wisconsin) then keeping finances separate isn’t really possible. Collado strongly advises couples in community property states to file jointly, adding that “it’s a nightmare to split everything,” but filing separately can be an option in these regions if you can prove you have finances that weren’t generated from work, such as an inheritance or trust fund. Another instance where you may want to file separately is when a spouse incurs high medical expenses in a tax year. “Because 2018 required out-of-pocket medical expenses to exceed 7.5 percent of adjusted gross income (AGI) in 2018 to be deductible against your taxable income, and 10 percent beginning in 2019, it may make sense to file separately if one spouse could have a lower AGI and take better advantage of the available medical expense deduction,” says Adams. If your spouse lives in another country or you have a nonresident alien spouse, it can be advantageous to file separately. This is particularly the case if the non-U.S spouse is earning a lot in the other country. One of the best (and certainly the least cheerful) reasons to file separately is if you suspect (or know) that your spouse is involved in or attempting something illegal. Even if you didn’t know your spouse was up to no good, the IRS can tie you to their misdeeds thanks to that joint return. Every situation is unique and there’s simply no one-size-fits-all answer to this tricky filing issue. While consulting a CPA is costlier that filing your taxes on your own online, it’s likely it can save you money and stress in the long run. Ask your CPA to run an analysis to break down how both scenarios (filing jointly and separately) would work for you.